Candle House Hornberger Uhrenspiele in the Black Forest. Handcrafted, glazed and fired twice. The candle houses are made from clay. 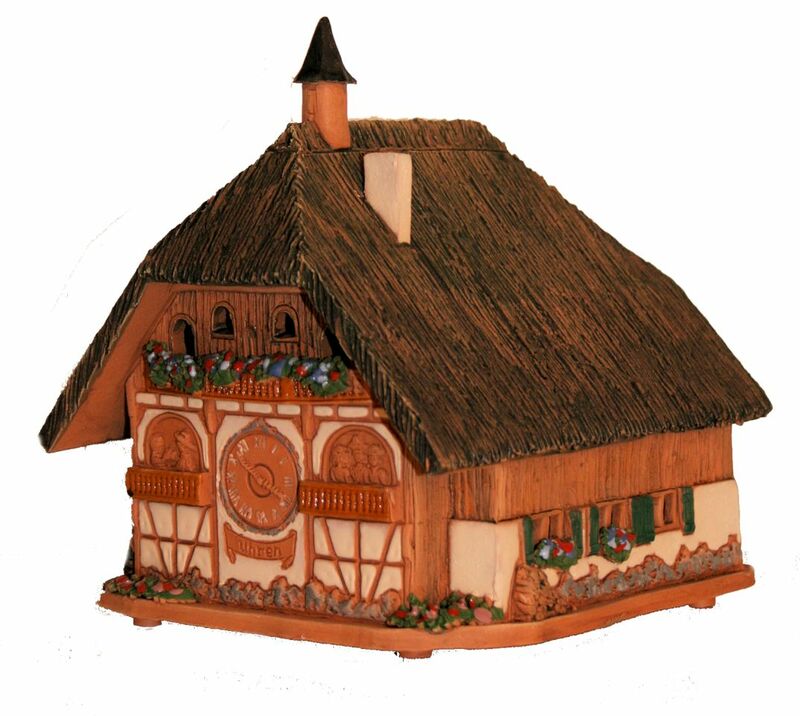 All the candle houses are handmade by experienced master craftspeople. The creative process of making and firing each unit takes approximately one-two weeks. The candle houses are also exellent oil burners (AR).Place the water and essential/scented oil in the chimeny or reservoir, and as the tea light candle placed inside the candle house warms up the ceramic, it warms the water, oil an fills the room with a wonderful aroma. This candle house is handmade out of clay.